Usurper Kings Special Edition Signed by Author Copies 3/4 Sold! 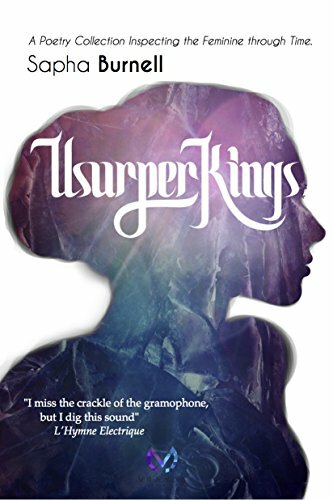 Usurper Kings is sweeping the lines & making waves. Thanks fans, who waited in line to get my wonderful, mystified signature on their special edition copies! The singular experience of holding your first paperback book in your hands is incredible. I sat back with a cup of black coffee and rested on the futon facing the purple pop-wall in my partner's living room and opened the sample bag with Usurper Kings inside. Wind rustled in the trees outside the bank of windows, a swathe of green reflecting chipper and gentle on the purple and pink of Usurper King's cover art. Usurper Kings is a first work in a bath tub of many. It's a poetry collection which burbled up from over a decade of experience throughout the feminine and masculine worlds. It's been called "jaw-droppingly beautiful" and "structured with strength and individual beauty" and "the book that made me glad I'm on author Burnell's side of the gender divide". It's a privilege and prayer answered to have it, and love each pop of black ink on white paper. Here's to you loving it too.